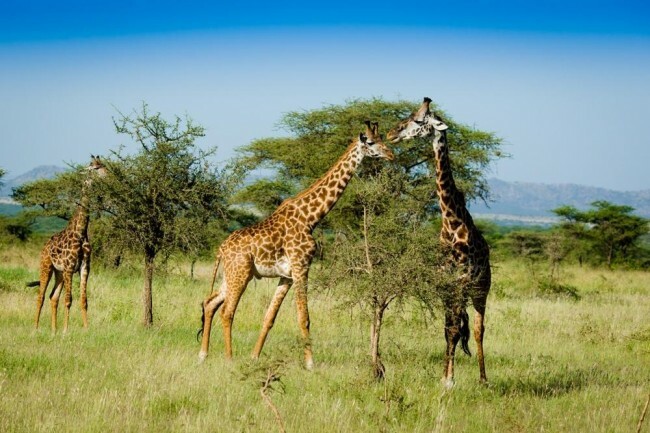 Experience both of the safari capitals of East Africa with this seven-day tour of Kenya and Tanzania. 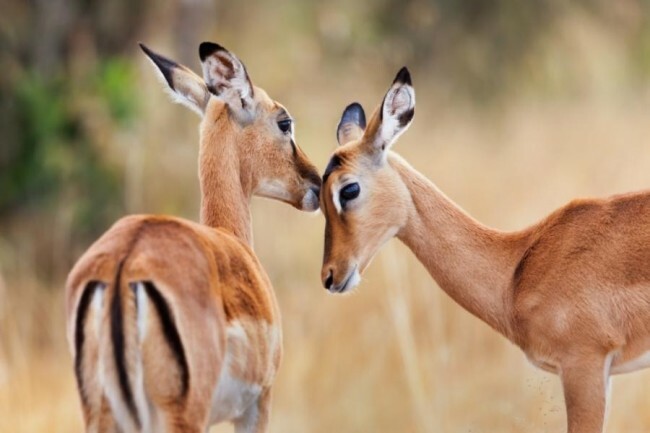 Renowned around the world for the Wildebeest Migration and offering fantastic opportunities to see the Big Five in the wild, these two countries combine to make for the ultimate safari experience. 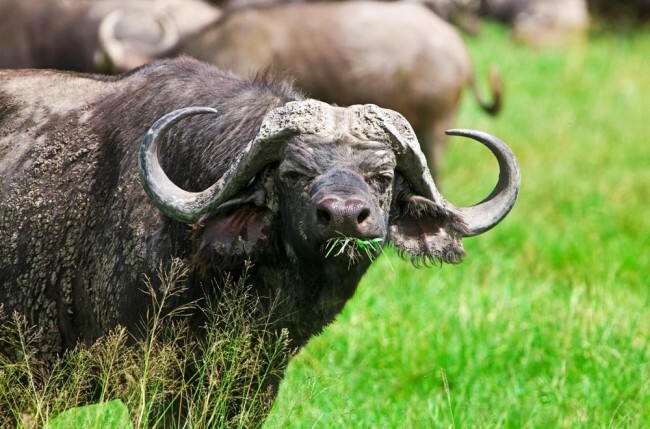 Renowned around the world for the Wildebeest Migration and offering fantastic opportunities to see the Big Five in the wild, these two countries combine to make for the ultimate safari experience. Explore the Maasai Mara, the Serengeti, and Ngorongoro on this amazing itinerary. This itinerary's order can be reversed - starting in Arusha and finishing in Nairobi if you like. Bid farewell to the Maasai Mara and Kenya after an early breakfast and a morning game drive that takes you to the Isebania border crossing. 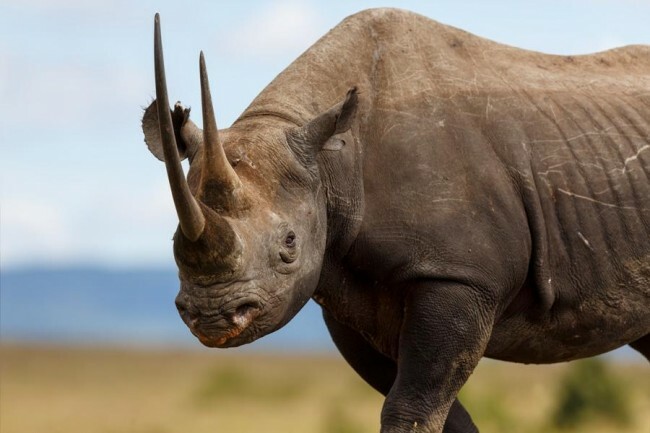 After the immigration formalities are done, you'll meet your new driver and continue on into the world-famous Serengeti National Park for an afternoon game drive. 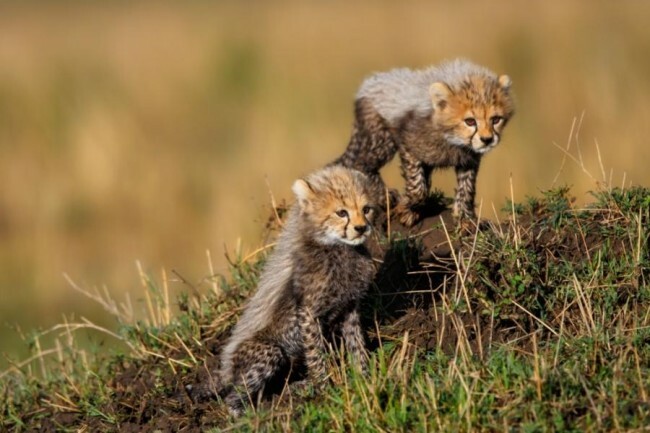 Home to huge populations of wildebeest, zebras, and antelopes - the picturesque Serengeti is an excellent place to spot predators such as lions, leopards, and cheetahs as well as herbivores including elephants, hippos, and giraffes. This is a long day of driving. Be prepared for a tiring day! After the thrills and excitement of the day, you will have a picnic lunch by the park's famous hippo pool. 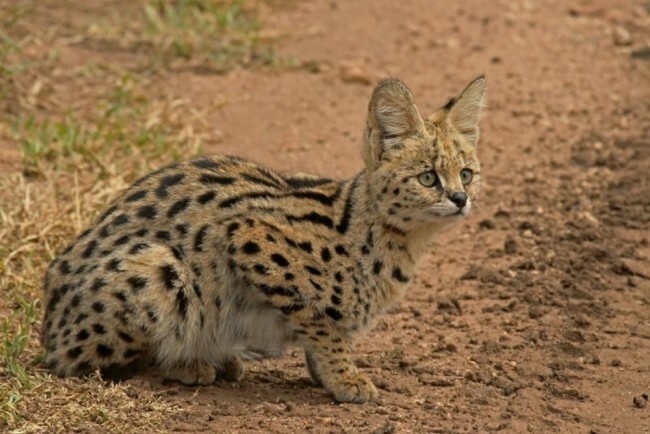 You'll then return to Arusha in the evening. 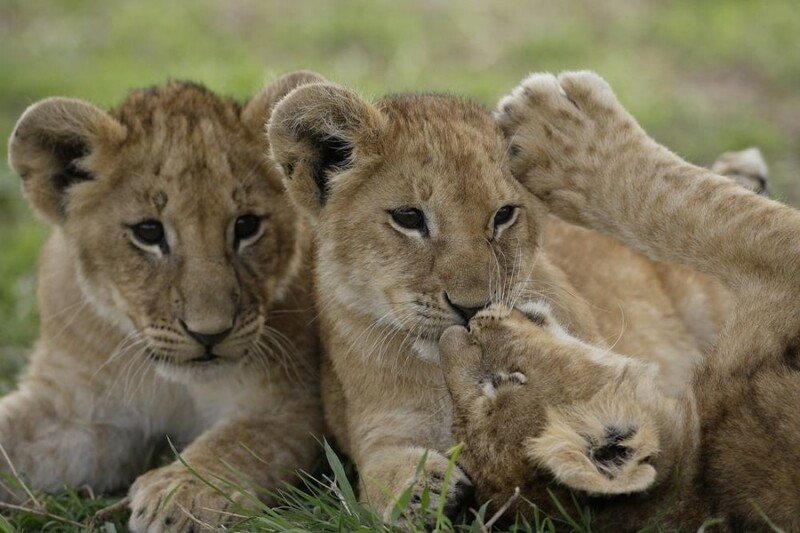 See the Big Five on the plains of the Maasai Mara and Serengeti. 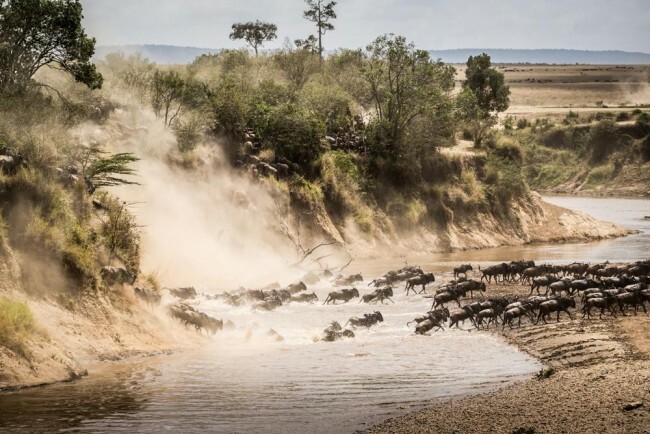 Chase the Wildebeest Migration across Tanzania and Kenya. 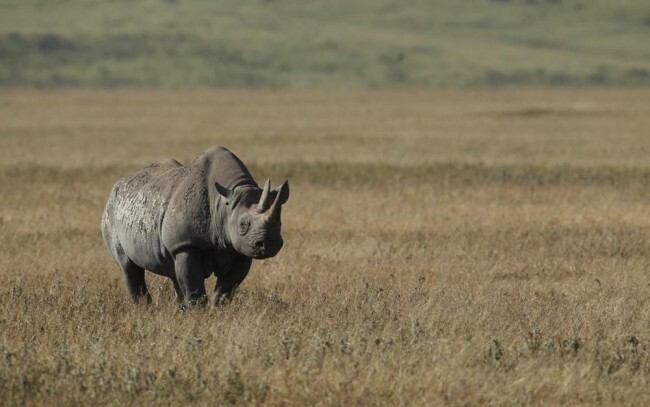 Descend into Ngorongoro Caldera to see flamingos, rhinos, and hippos. Optional hot air balloon safaris in either the Maasai Mara or Serengeti.